I am kind of in love with cheesecake. Good cheesecake. And I like to bake. But I had never made homemade cheesecake! I even have a set of springform pans that my mother in law gave me one year, that were still sitting on a shelf, unused. It was really a shame. I guess I didn't want to try making it & have it fail. Then one day I found a post about mastering the art of cheesecake on How Does She, and have been dying to try it ever since. I finally did it a couple of weeks ago & it turned out wonderfully! I was so happy with it! 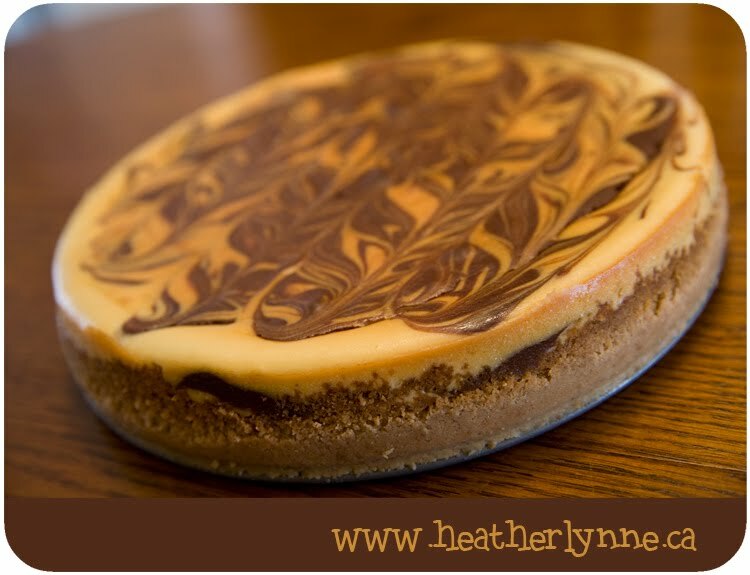 So, if you're like me, waiting for the perfect time to try baking cheesecake, or if you've already tried & been disappointed, I encourage you to check out the excellent tutorial over at How Does She, and give it another try! Doesn't it look delicious? (I admit it, I ate 90% of this cheesecake myself). No, I am not exaggerating- ask Ken. Oooh! That looks seriously good. I have never made cheesecake, but may have to give it a try sometime soon. :) What type did you make by the way? 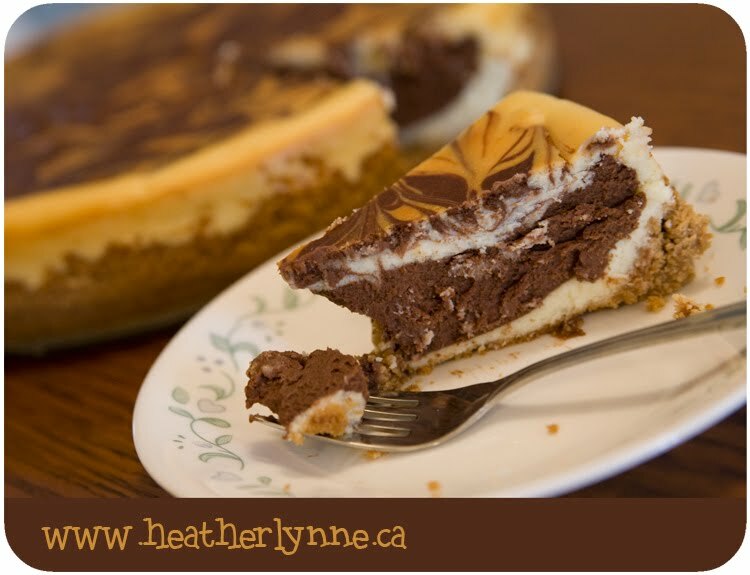 I used the recipe that was posted with the tutorial (it's called Vanilla and Chocolate Truffle Cheesecake). It's quite good! You made that?! It looks amazing! Mmmm, looks divine! Thanks for visiting my blog! I have been being very "good" this week on my diet. Now I have to make cheesecake. Thanks a lot!